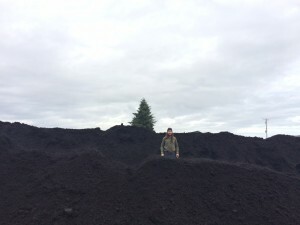 Sierra Smith smiles as he watches over 1 million pounds of compost being spread on the Violet Prairie Native Seed Farm. 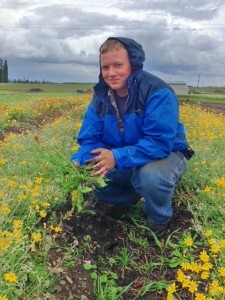 Sierra manages the South Sound Prairies Conservation Nursery Program for the Center for Natural Lands Management (CNLM), which coordinates the production of native prairie plants and seeds used to restore the region’s prairies and oak woodlands. He smiles because he knows having this compost will result on another year of strong productive prairie plants. The compost, being used to grow rare native plants, originated as waste from Joint Base Lewis McChord (JBLM). In 2004, the JBLM Department of Public Works Environmental Division inaugurated Earthworks, an on-base composting and recycling facility that helps the installation reduce its environmental impact and increase its sustainability. JBLM diverts organic wastes, such as leaves, grass, food waste, landscaping, land-clearing debris, storm debris, and horse stable waste from landfill disposal by composting these materials and producing valuable soil enhancement and landscaping products. These are then available for use on JBLM or for sale to the public by the JBLM Qualified Recycling Program. The dining halls and commissaries of JBLM divert about 700 tons of food waste per year to the Earthworks composting facility. Yard waste is brought into the composting facility from JBLM’s grounds maintenance and residential landscaping crews. 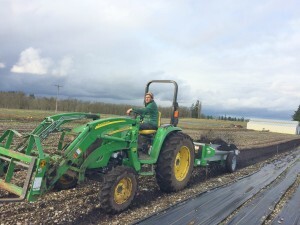 Composting at JBLM has the dual benefit of cutting waste disposal costs and eliminating the cost of buying compost for on-base landscaping projects. JBLM’s staff and residents have been working to create sustainable systems that not only aid JBLM financially, but also support JBLM’s mission capability and benefit the local communities and the environment. Knowing that creating a better world requires teamwork and collaboration, JBLM has launched several outreach campaigns and contests to encourage residents and staff members to take part in building a Net Zero future. Day to day actions by JBLM’s community are adding up to something big; out of all 17 army bases participating in the Net Zero pilot project, JBLM has the largest Net Zero portfolio, exemplifying their commitment to environmental stewardship. 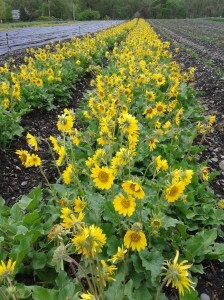 Remember that native seed farm where the compost was being spread? JBLM provided the compost because a significant portion of the seeds produced at Violet Prairie Native Seed Farm will be used to restore critical habitat for state and federally listed prairie species. 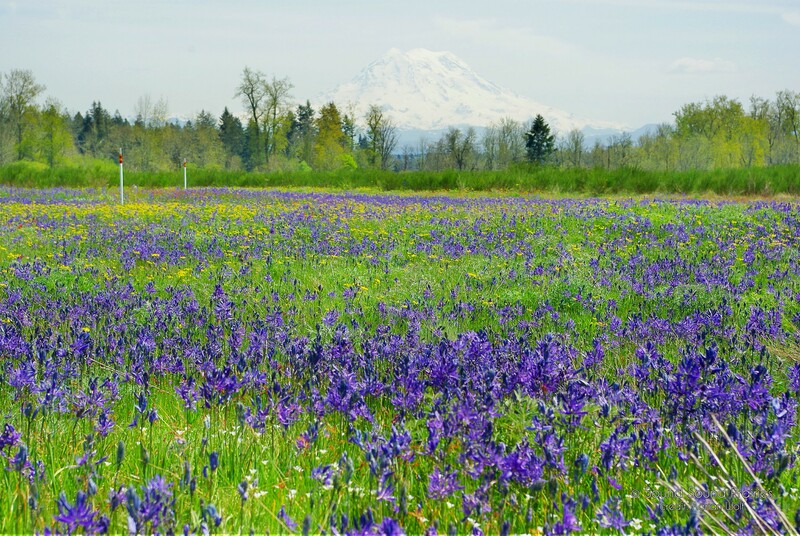 JBLM maintains about 90 percent of the South Sound prairie habitat on its base, much of which includes important military training areas. 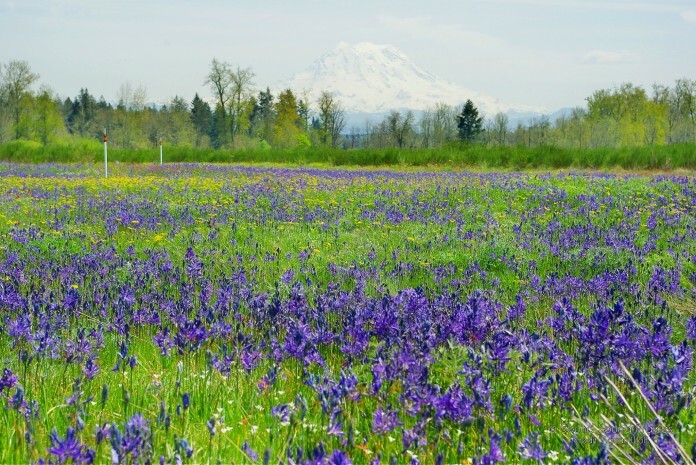 JBLM has partnered with the Center for Natural Lands Management (CNLM) to help conserve the base’s prairies and the species that live on them, while simultaneously supporting military preparedness. 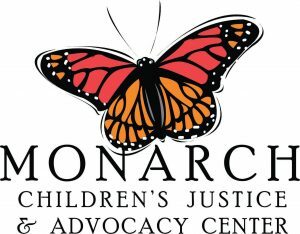 The strategy involves facilitating military access and training on these lands by removing encroaching trees and weedy brush, in addition to creating robust on-base ecosystems that are resilient to training and support rare species. The accompanying development of off -base habitats further boosts rare species and reduces constraints to training activities on-base. The waste that JBLM diverts from the landfill and turns into rich compost fertilizes CNLM’s native seed farm, which in turn builds habitat for rare species and removes regulatory constraints on military training. In a small way, by putting that pizza box in the compost bin, JBLM residents help keep our military units trained, while supporting the recovery of endangered species.